Browse:Home Znad Wilii Poles on separate lists – complete fiasco or general rehearsal? Poles on separate lists – complete fiasco or general rehearsal? “Well, people discouraged Radchenko and brothers Klonowski out of politics. What a disaster”. “They jumped all over the places, made noises, advertised themselves, and the voters smashed them so much so that they ran a mile” – the supporters of EAPL-CFA in post-election discussions in social media are very satisfied. In Vilnius, no Pole from outside Waldemar Tomaszewski’s party managed to win a councilor’s mandate. Is it a confirmation that “united we stand” and offering voters other options is an unconvincing fragmentation of Poland’s political potential? Or maybe the weakening results of EAPL indicate that voters will soon start to look for alternative options as well? In Vilnius, Evelina Dobrovolska achieved the best result among Polish candidates, winning 1614 votes and 20th place on the list of the Remigijus Šimašius Committee “For A Vilnius We Are Proud Of!”. Probably this may ensure her mandate in the future, even in a year, if some of the councilors currently elected after the parliamentary elections will go to the Seimas. At present, however, she remains outside the list. Alexander Radchenko won 997 votes and 6th place on the Social Democrats’ list. However, the Social Democrats – which was a surprise for them – did not exceed the electoral threshold. The “Vilniečių Lokys” committee received 951 votes and 0,44 percentage point, while their Mayor’s candidate, Rajmund Klonowski, won 880 votes. Zbigniew Samko, also starting from the Šimašius list, received 288 votes, falling from 58th to 62nd place. Paweł Żemojcin, who went to the election with the team of Artūras Zuokas, won 190 votes and dropped from 31st to 57th place. Robert Duchniewicz, a candidate for Mayor of the Vilnius region from the Social Democratic Party, is an example of the success of consistent work to gain the trust of voters. In the previous term, he was the only councilor of his party, in this election the party won three more seats and will probably form a fraction in the council. Duchniewicz himself ranked third in the Major elections, but he estimates that the support from Polish voters has increased significantly compared to the previous elections. “You can see that people want changes, they talk about them in discussions, polemics, but they are quite sluggish. 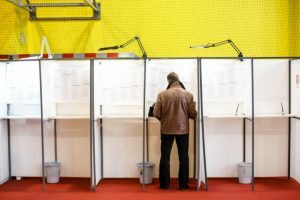 Besides, it has to be admitted that local government elections are not very popular – after all, the turnout did not reach even 50 percent, also in Vilnius itself. 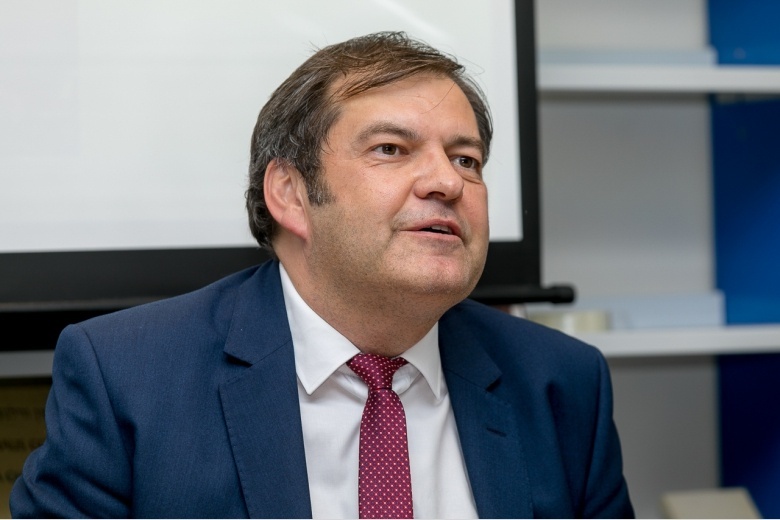 On the one hand, the offer of EAPL-CFA is unattractive for some people, on the other hand, people do not want to take any steps to develop an alternative offer” says Andrzej Pukszto, political scientist from the Vytautas Magnus University in Kaunas. “The voter from Vilnius, unlike the region, is more diverse, but also more demanding. The Labour Party this time took some Russian-speaking voters, while Poles probably did not find a political option for themselves. This is a sign that the parties will have to do more to fight for such voter – adds a political scientist. “It seems that this was only the first such campaign in years, in which Poles fully participated on lists other than EAPL-CFA. It was therefore difficult to expect a fundamental breakthrough” – said Tomasz Otocki, editor of “Przegląd Bałtycki”. “I am not surprised by the poor result of “Lokys” – without structures, without money, without recognizable faces, with a mysterious name, it is hard to break through, although the idea to be interesting and the performance aroused sympathy – I watched it with passion. I am more surprised by the bad result of the Social Democrats, the Paluckas party will now have a lot to think about. Initially, I bet that Evelina Dobrovolska and Alexander Radchenko have the best chances to get to the Vilnius council. Radchenko got a good personal result, but backed the wrong horse. Evelina’s example shows that it’s better to keep with a larger group, even if you’re in a further position, because it’s easier to succeed later than even if you’re in a good place on a niche party list. Of course, provided that the “further place” is 15 or 18 and not 70 or 80” – as explained by Otocki. Witold Janczys, editor of the InBaltic portal and a journalist of Deutsche Welle, who says that Poles who decide to participate in elections from the lists of political parties at the national level usually consciously or unconsciously have to take up several challenges. “First of all, they are placed far beyond the top ten candidates, and this already reduces their chances of success. Another problem is that candidates – Poles who take part in elections on behalf of other parties are usually known only at the local level. This means that there may be a lack of votes and usually there are no votes necessary to win. It is also important to remember that in principle they can count on the votes of voters who know them or belong to national minorities. 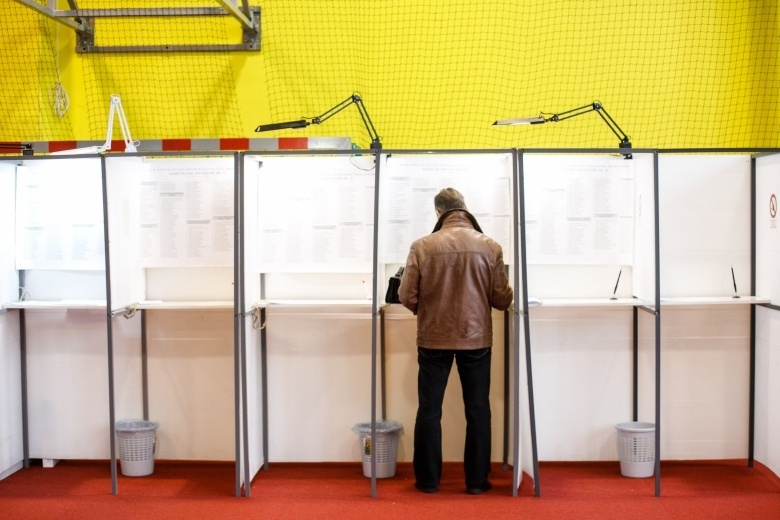 This pool of votes is further diminished by the fact that Poles or Russians, who vote for parties with a national scope, probably often vote for other politicians, better known to them than Poles, on the lists of one party or another” says Witold Janczys. “Poles who decide to participate in elections from lists of nationwide political parties could win voters through advertising in social networks and the media, but for this they need a huge financial outlay, something that social activists or local entrepreneurs simply do not have, or do not want to risk not being certain of the result – i.e. victory” Janczys says. “It’s just work for years, not just for one election. So far it has been the case that some Poles, e.g. Renata Underis or Julia Mackiewicz competed, but they immediately withdrew when they were not successful. This is how politics cannot be done. You have to experience one defeat, then another, third, fourth and you are a councilor only in the fifth time. I have the impression that the competitors of EAPL are simply not patient enough” – stresses Tomasz Otocki from the “Przegląd Bałtycki”. “These elections are just the beginning, as evidenced by the very poor performance of Edith Tamošiūnaitė and Action in Vilnius and the relatively poor performance of Maria Rekść in the Vilnius region. Poor results of EAPL open the way for discussion with the Polish community in Lithuania. Of course, it is clear that EAPL will not initiate such discussion, because it is not in its interest. It is not in its interest, or perhaps even more so for its management, because from the perspective of the party itself “brainstorming” after the elections and “crisis deliberations” would be advisable. But it won’t happen, because Waldemar Tomaszewski doesn’t want it” says Otocki. Do Polish voters need a political alternative at all, or are attempts to offer options other than EAPL, which has been in operation for several decades, really a break-up of Polish political capital? “National minority parties are a political phenomenon typical of Central and Eastern Europe. We will not find such parties in France or Great Britain, but in Bulgaria, Romania and the Czech Republic they are already active and have a raison d’être. Similarly, in Lithuania, EAPL-CFA already has its place on the Lithuanian political scene. If the Action was open to people of different views, looking at Polish issues from different perspectives, it could of course be this umbrella. However, since the candidates are selected very rigorously there, this is a leadership party, in this context, despite its declarations, it cannot unite all Poles. Besides, the results already showed that only some Poles vote for EAPL. It is obvious, therefore, that Poles try to find other places as well and either create alternative lists or take part in the national lists of Lithuanian parties” explains Andrzej Pukszto. Or maybe, according to some observers of public life, a good solution for Poles would be to create a common list, alternative to EAPL-CFA, instead of starting on their own from Lithuanian party lists? “It also depends on the politics of parties. If national minority issues are included in such grouping in the priority measures and the candidates are placed high on the lists, if their voice is heard, if the party has representatives in the Seimas, why not. Of course, a separate list has this privilege that it can focus on these specific matters. In such a case, however, it is a matter of a large electoral campaign, work with the media and additional resources. People, resources and ideas are needed. This is a very difficult road” – emphasises Pukszto. “The existence of competitive circles for EAPL does not hinder the solution of Polish demands, it can only facilitate them – in the sense of popularization of these ideas. The condition, however, is that Polish candidates express their demands openly and find minority-friendly environments, so that parties such as conservatives, the Labour Party or Order and Justice fall out” summarizes Tomasz Otocki. Tłumaczenie by Dominika Kownacka	w ramach praktyk w Europejskiej Fundacji Praw Człowieka, www.efhr.eu. Translated by Dominika Kownacka	within the framework of a traineeship programme of the European Foundation of Human Rights, www.efhr.eu.